We get all sorts of weird and strange information these days. We heard the chief of the Organization of Islamic Countries say that the OIC serves the role of the Caliphate for Muslims. We did not know if we should laugh or cry. But recently we heard another news that we simply could not believe. We thought we would share this important information with all of our readers today. An organization called the Quilliam Foundation in the UK which gets massive funding from the British Government and it claims to be the first counter extremist think tank has made a list of people and groups they consider Islamic extremists who have terrorist ideology. The document is listed “Preventing Terrorism, where next for Britain”? The following is the list of the organizations that they believe are dominated by extremist ideology. So far this list contains mainstream muslim groups, a cable channel and mosques. None of these groups have anything to do with terrorism or what Quilliam considers extremist ideology. But what made us laugh and cry at the same time were the following names. I would like to draw attention of our readers to the above names. The first two are members of Respect which is a Socialist political party. The Muslim Contact Unit is part of the Scotland Yard whereas Muslim Safety Forum works with the police to improve community relations. Although apparently this story seems irrelevant to Irish politics, we believe that it is very important to highlight the problems that emerge when Governments overlook their own mistakes and lack of decent governance and foreign policy, and tries to find fault with its own population by setting up and funding organizations such as Quillliam. A prominent Muslim community leader in the U.K Inayat Banglawala has called this action as “out of a Stasi manual”. Robert Lambert who is a co founder of the Scotland Yard’s Muslim Contact Unit stated that this list demonizes a whole range of groups that in his experience had made valuable contributions to counter-terrorism. What do Quilliam gets out of this. A whopping 1 million pounds in Government Funding. We hope that politicians here in Ireland would learn from such events and not waste the tax payers money in setting up such dubious and downright useless organizations. 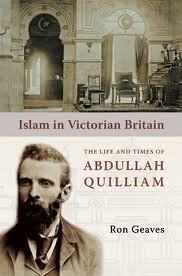 William Henry Quilliam, who changed his name to Abdullah Quilliam and later Henri Marcel Leon or Haroun Mustapha Leon, was a 19th century convert from Christianity to Islam, noted for founding England’s first mosque and Islamic centre. He was appointed Shiekh ul Islam of the British Isles by Sultan Abdul Hameed Thani in 1894. I m surprised why anyone would want to waste time on such a useless group as the Quilliam Foundation. Dont know about Majid Nawaz but Ed Hussain is working for the Council for Foreign Relations these days 🙂 Since Quilliam proved to be a hopeless failure the British Government apparently is nt paying Quilliam that amount of money anymore. Heres what the real Quilliam said a century ago. “Know ye, O Muslims, that the British Government has decided to commence military and warlike operations against the Muslims of the Soudan, who have taken up arms to defend their country and their faith. And it is in contemplation to employ Muslim soldiers to fight against these Muslims of the Soudan. “Among Muslims none should be known as Turks, Arabs, Kurds, Ajem, Afghans, Indians or English. They are all Muslims, and verily the True-Believers are brethren. Islam is erected on the Unity of God, the unity of His religion, and the unity of the Muslims. History demonstrates that the True-Believers were never defeated while they remained united, but only when disunion crept into their ranks.